Shortly before 6 p.m., 30-year-old Porterville man Ryan Pavone was driving the motorcycle eastbound on Highway 46 west of Arbor Road at a speed of about 65 mph. The motorcycle drifted onto the shoulder and crashed into the back of a Nissan car that was stopped on the side of the road, according to the CHP. 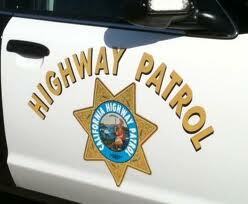 The impact of the collision ejected a 27-year-old Porterville woman from the motorcycle. She died as a result of her injuries. After hitting the car on the side of the road, the motorcycle then slid into the path of an oncoming Ford. The driver of the Ford could not avoid hitting the motorcycle. Pavone suffered major injuries in the crash and was transported to Sierra Vista Regional Medical Center. His current condition is unclear. Authorities have yet to disclose the identity of the deceased woman. Neither alcohol nor drugs appear to be factors in the crash, according to the CHP. Both of the individuals who were riding the motorcycle were wearing helmets.